What are all the options that are available locally? How and when should I share these options with students? Which options are best for which young people? Should I trouble all students with all the options - or target the information? Who are the different qualifications targeted towards? Why should a student select an NVQ over a BTEC (or vice versa)? 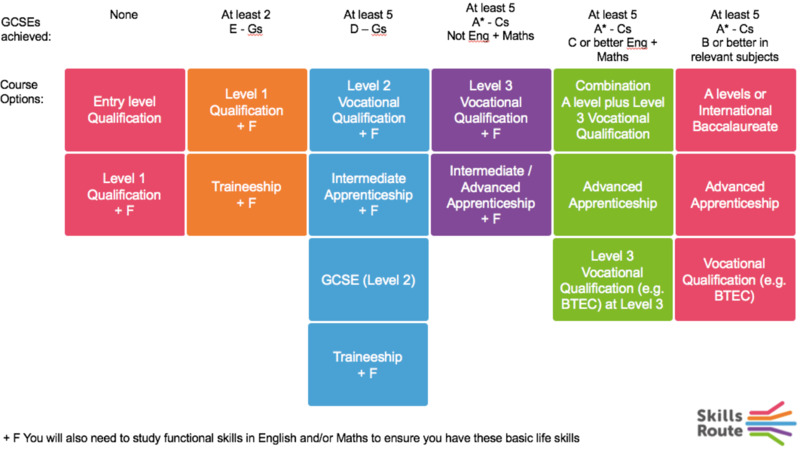 If you would like to experience the interactive version of this diagram, sign up to Skills Route PLAN (which will be openly available from September 2016) - email briony.phillips@skillsroute.com to be amongst the first people on the site!